The First-Year Writing program at Eugene Lang College presents a reading and Q&A with author Mia Alvar. Alvar’s first book, In the Country, a collection of short stories, was published by Alfred A. Knopf in June 2015. 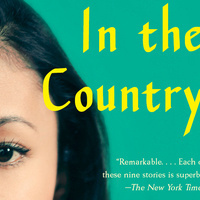 In the Country won the 2016 PEN/Robert W. Bingham Prize for Debut Fiction and the 2015 Barnes & Noble Discover Great New Writers Award. A former Writer-in-Residence at the Lower Manhattan Cultural Council, she has received support from the Corporation of Yaddo, the Djerassi Resident Artists Program, the Blue Mountain Center for the Arts and the Sarah Lawrence Seminar for Writers. Alvar's work has been cited for distinction in The Best American Short Stories and published in One Story, The Missouri Review, the Cincinnati Review, and elsewhere. Born in the Philippines and raised in Bahrain and the United States, she graduated from Harvard College and the School of the Arts at Columbia University. Moderated by Paul Nadal, Visiting Assistant Professor of First Year Writing, with an introduction by Scott Korb, director of First Year Writing.